Come and join me this Saturday afternoon to immerse yourself in the heady 1920s! 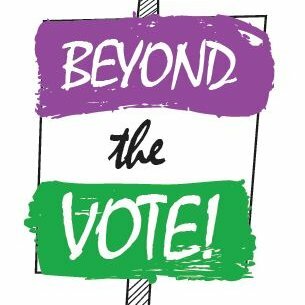 As part of the wonderful Beyond the Vote Festival I will be giving a Creative Writing Workshop on historical fiction. We will focus on the immediate aftermath of women gaining the vote; years when women’s employment, domestic lives, sexual and bodily identities were all undergoing massive changes. How can you use historical research to create interesting and believable characters and put them in a world that evokes the era for your readers? Can a knitting magazine be as important a key to your historical character as their attitude to female suffrage? We will debate such questions, look at a range of research materials and, most importantly, begin your own pieces of historical fiction. The workshop runs from 3-4.30pm. For some of you this might be a deal breaker as you are already committed to a potentially historic football match. But, as writers of historical fiction know, there are many individual responses to ‘historic’ events and missing England v Sweden might not even have registered with you. If that is the case, please use the link above to sign up to this free public event and I look forward to seeing you there. This entry was posted in Uncategorized on July 4, 2018 by h.pleasance.